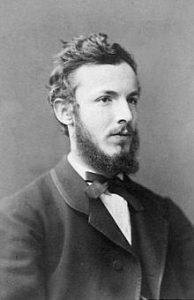 Georg Cantor was an outstanding violinist, but an even more outstanding mathematician. 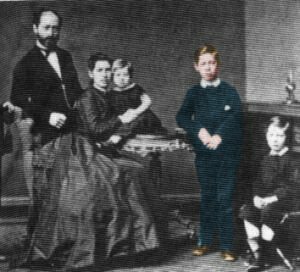 He was born on March 3, 1845, in Saint Petersburg, Russia, where he lived until he was eleven. 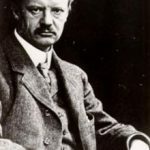 Thereafter, the family moved to Germany, and Cantor received his remaining education at Darmstradt, Zürich, Berlin and (almost inevitably) Göttingen before marrying and settling at the University of Halle, where he was to spend the rest of his career. 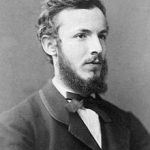 Georg Cantor invented set theory, which has become a fundamental theory in mathematics. Cantor established the importance of one-to-one correspondence between the members of two sets, defined infinite and well-ordered sets, and proved that the real numbers are more numerous than the natural numbers. 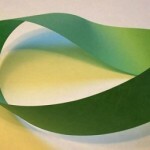 In fact, Cantor’s method of proof of this theorem implies the existence of an “infinity of infinities”. He defined the cardinal and ordinal numbers and their arithmetic. Cantor’s work is of great philosophical interest, a fact of which he was well aware. 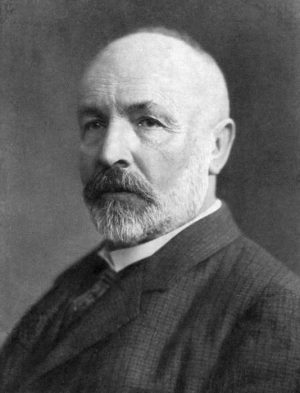 Georg Cantor began his career by teaching in a Berlin girls’ school for a brief period of time. He then accepted a position at the University of Halle, where he spent his entire career. He joined as a lecturer in 1869 and was promoted to assistant professor in 1872, and full professor in 1879. 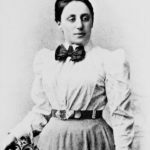 To attain the latter rank at the age of 34 was a notable accomplishment, but Cantor desired a chair at a more prestigious university, in particular at Berlin, at that time the leading German university. However, his work encountered too much opposition for that to be possible. 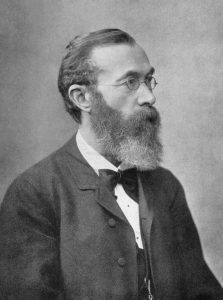 Kronecker, who headed mathematics at Berlin until his death in 1891, became increasingly uncomfortable with the prospect of having Cantor as a colleague, perceiving him as a “corrupter of youth” for teaching his ideas to a younger generation of mathematicians. 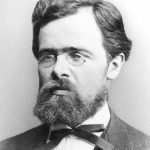 Worse yet, Kronecker, a well-established figure within the mathematical community and Cantor’s former professor, disagreed fundamentally with the direction of Cantor’s work ever since he intentionally delayed the publication of Cantor’s first major publication in 1874. 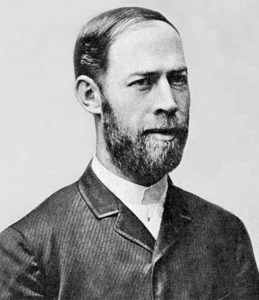 Kronecker, now seen as one of the founders of the constructive viewpoint in mathematics, disliked much of Cantor’s set theory because it asserted the existence of sets satisfying certain properties, without giving specific examples of sets whose members did indeed satisfy those properties. Whenever Cantor applied for a post in Berlin, he was declined, and it usually involved Kronecker, so Cantor came to believe that Kronecker’s stance would make it impossible for him ever to leave Halle. 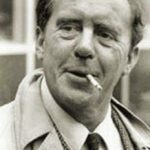 Writing decades after Cantor’s death, Wittgenstein lamented that mathematics is “ridden through and through with the pernicious idioms of set theory”, which he dismissed as “utter nonsense” that is “laughable” and “wrong”. Cantor’s recurring bouts of depression from 1884 to the end of his life have been blamed on the hostile attitude of many of his contemporaries, though some have explained these episodes as probable manifestations of a bipolar disorder. In 1874, Cantor married Vally Guttmann. They had six children, the last (Rudolph) born in 1886. Cantor was able to support a family despite modest academic pay, thanks to his inheritance from his father. 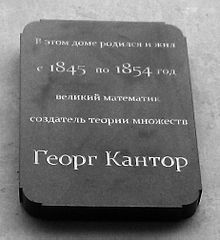 The title on the memorial plaque (in Russian): “In this building was born and lived from 1845 till 1854 the great mathematician and creator of set theory Georg Cantor”, Vasilievsky Island, Saint-Petersburg. After Cantor’s 1884 hospitalization, there is no record that he was in any sanatorium again until 1899. Soon after that second hospitalization, Cantor’s youngest son Rudolph died suddenly on December 16 (Cantor was delivering a lecture on his views on Baconian theory and William Shakespeare), and this tragedy drained Cantor of much of his passion for mathematics. Cantor was again hospitalized in 1903. One year later, he was outraged and agitated by a paper presented by Julius König at the Third International Congress of Mathematicians. 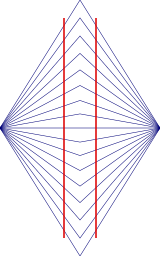 The paper attempted to prove that the basic tenets of transfinite set theory were false. Since the paper had been read in front of his daughters and colleagues, Cantor perceived himself as having been publicly humiliated. 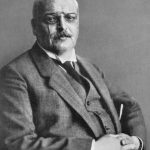 Although Ernst Zermelo demonstrated less than a day later that König’s proof had failed, Cantor remained shaken, and momentarily questioning God. 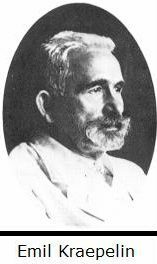 Cantor suffered from chronic depression for the rest of his life, for which he was excused from teaching on several occasions and repeatedly confined in various sanatoria. The events of 1904 preceded a series of hospitalizations at intervals of two or three years. The Royal Society awarded Cantor its Sylvester Medal, the highest honor it can confer for work in mathematics, in 1904. 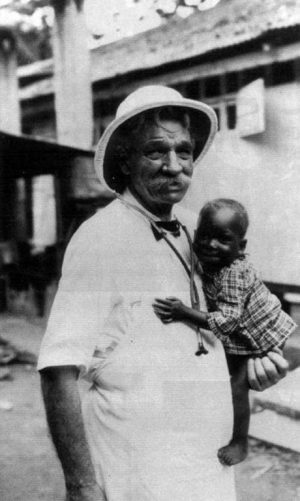 Cantor retired in 1913, living in poverty and suffering from malnourishment during World War I. The public celebration of his 70th birthday was canceled because of the war. 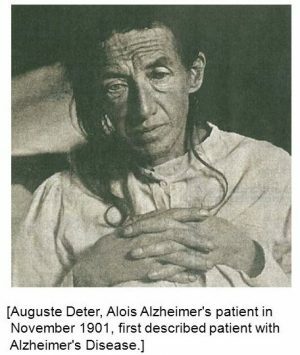 In June 1917, he entered a sanatorium for the last time and continually wrote to his wife asking to be allowed to go home. Georg Cantor had a fatal heart attack on January 6, 1918, in the sanatorium where he had spent the last year of his life. Carl Friedrich Gauss, original name Johann Friedrich Carl Gauss, (born April 30, 1777, Brunswick – died February 23, 1855, Göttingen, Hanover), German mathematician, generally regarded as one of the greatest mathematicians of all time for his contributions to number theory, geometry, probability theory, geodesy, planetary astronomy, the theory of functions, and potential theory (including electromagnetism). Carl Friedrich Gauss is sometimes referred to as the “Prince of Mathematicians” and the “greatest mathematician since antiquity”. He has had a remarkable influence in many fields of mathematics and science and is ranked as one of history’s most influential mathematicians. Gauss was a child prodigy. 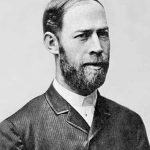 There are many anecdotes concerning his precocity as a child, and he made his first ground-breaking mathematical discoveries while still a teenager. At just three years old, he corrected an error in his father payroll calculations, and he was looking after his father’s accounts on a regular basis by the age of 5. At the age of 7, he is reported to have amazed his teachers by summing the integers from 1 to 100 almost instantly (having quickly spotted that the sum was actually 50 pairs of numbers, with each pair summing to 101, total 5,050). 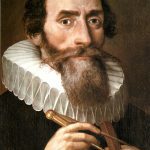 By the age of 12, he was already attending gymnasium and criticizing Euclid’s geometry. 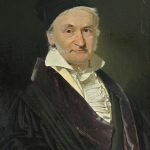 Although his family was poor and working class, Gauss’ intellectual abilities attracted the attention of the Duke of Brunswick, who sent him to the Collegium Carolinum at 15, and then to the prestigious University of Göttingen (which he attended from 1795 to 1798). It was as a teenager attending university that Gauss discovered (or independently rediscovered) several important theorems. At 15, Gauss was the first to find any kind of a pattern in the occurrence of prime numbers, a problem which had exercised the minds of the best mathematicians since ancient times. Although the occurrence of prime numbers appeared to be almost completely random, Gauss approached the problem from a different angle by graphing the incidence of primes as the numbers increased. He noticed a rough pattern or trend: as the numbers increased by 10, the probability of prime numbers occurring reduced by a factor of about 2 (e.g. there is a 1 in 4 chance of getting a prime in the number from 1 to 100, a 1 in 6 chance of a prime in the numbers from 1 to 1,000, a 1 in 8 chance from 1 to 10,000, 1 in 10 from 1 to 100,000, etc). However, he was quite aware that his method merely yielded an approximation and, as he could not definitively prove his findings, and kept them secret until much later in life. Gauss’s first significant discovery, in 1792, was that a regular polygon of 17 sides can be constructed by ruler and compass alone. Its significance lies not in the result but in the proof, which rested on a profound analysis of the factorization of polynomial equations and opened the door to later ideas of Galois theory. His doctoral thesis of 1797 gave a proof of the fundamental theorem of algebra: every polynomial equation with real or complex coefficients has as many roots (solutions) as its degree (the highest power of the variable). Gauss’s proof, though not wholly convincing, was remarkable for its critique of earlier attempts. Gauss later gave three more proofs of this major result, the last on the 50th anniversary of the first, which shows the importance he attached to the topic. Gauss’s recognition as a truly remarkable talent, though, resulted from two major publications in 1801. Foremost was his publication of the first systematic textbook on algebraic number theory, Disquisitiones Arithmeticae. This book begins with the first account of modular arithmetic, gives a thorough account of the solutions of quadratic polynomials in two variables in integers, and ends with the theory of factorization mentioned above. 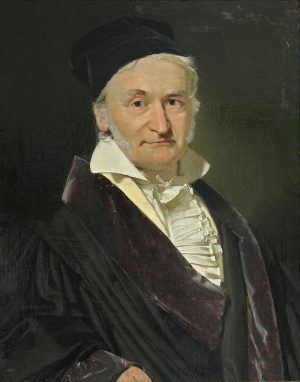 This choice of topics and its natural generalizations set the agenda in number theory for much of the 19th century, and Gauss’s continuing interest in the subject spurred much research, especially in German universities. 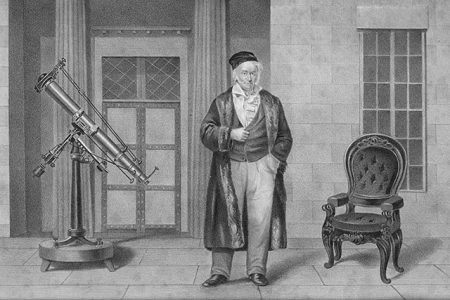 The second publication was his rediscovery of the asteroid Ceres. Its original discovery, by the Italian astronomer Giuseppe Piazzi in 1800, had caused a sensation, but it vanished behind the Sun before enough observations could be taken to calculate its orbit with sufficient accuracy to know where it would reappear. Many astronomers competed for the honor of finding it again, but Gauss won. 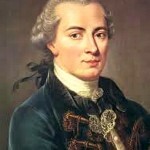 His success rested on a novel method for dealing with errors in observations, today called the method of least squares. Thereafter Gauss worked for many years as an astronomer and published a major work on the computation of orbits—the numerical side of such work was much less onerous for him than for most people. As an intensely loyal subject of the duke of Brunswick and, after 1807 when he returned to Göttingen as an astronomer, of the duke of Hanover, Gauss felt that the work was socially valuable. In fact, Gauss often withheld publication of his discoveries. 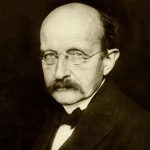 As a student at Göttingen, he began to doubt the a priori truth of Euclidean geometry and suspected that its truth might be empirical. For this to be the case, there must exist an alternative geometric description of space. Rather than publish such a description, Gauss confined himself to criticizing various a priori defenses of Euclidean geometry. It would seem that he was gradually convinced that there exists a logical alternative to Euclidean geometry. However, when the Hungarian János Bolyai and the Russian Nikolay Lobachevsky published their accounts of a new, non-Euclidean geometry about 1830, Gauss failed to give a coherent account of his own ideas. It is possible to draw these ideas together into an impressive whole, in which his concept of intrinsic curvature plays a central role, but Gauss never did this. Some have attributed this failure to his innate conservatism, others to his incessant inventiveness that always drew him on to the next new idea, still others to his failure to find a central idea that would govern geometry once Euclidean geometry was no longer unique. All these explanations have some merit, though none has enough to be the whole explanation. Gauss’ achievements were not limited to pure mathematics, however. 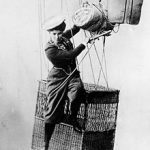 During his surveying years, he invented the heliotrope, an instrument that uses a mirror to reflect sunlight over great distances to mark positions in a land survey. 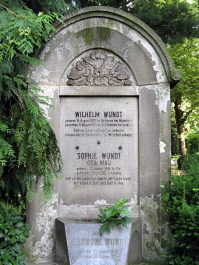 In later years, he collaborated with Wilhelm Weber on measurements of the Earth’s magnetic field, and invented the first electric telegraph. In recognition of his contributions to the theory of electromagnetism, the international unit of magnetic induction is known as the gauss. After Gauss’s death in 1855, the discovery of so many novel ideas among his unpublished papers extended his influence well into the remainder of the century. Gauss’s personal life was overshadowed by the early death of his first wife, Johanna Osthoff, with whom he had three children, in 1809, soon followed by the death of one child, Louis. Gauss plunged into a depression from which he never fully recovered. He married again, to Johanna’s best friend, Friderica Wilhelmine Waldeck, commonly known as Minna. They also had three children. 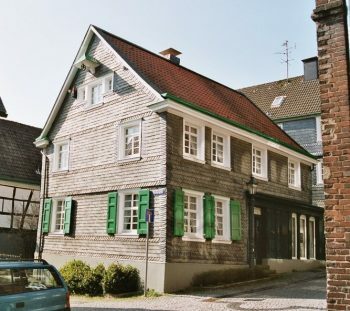 When his second wife died in 1831 after a long illness, one of his daughters, Therese, took over the household and cared for Gauss for the rest of his life. 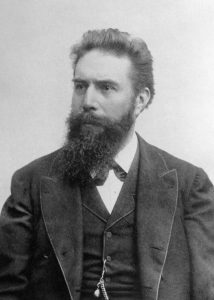 Wilhelm Conrad Röntgen (March 27, 1845 – Feb. 10, 1923) was a German physicist who was a recipient of the first Nobel Prize for Physics, in 1901, for his discovery of X-rays, which heralded the age of modern physics and revolutionized diagnostic medicine. Röntgen studied at the Polytechnic in Zürich and then was professor of physics at the universities of Strasbourg (1876-79), Giessen (1879-88), Wurzburg (1888-1900), and Munich (1900-20). 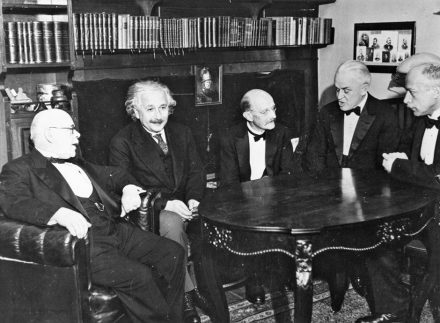 His research also included work on elasticity, capillary action of fluids, specific heats of gases, conduction of heat in crystals, absorption of heat by gases, and piezoelectricity. In 1895, while experimenting with electric current flow in a partially evacuated glass tube (cathode-ray tube), Röntgen observed that a nearby piece of barium platinocyanide gave off light when the tube was in operation. He theorized that when the cathode rays (electrons) struck the glass wall of the tube, some unknown radiation was formed that traveled across the room, struck the chemical, and caused the fluorescence. Further investigation revealed that paper, wood, and aluminum, among other materials, are transparent to this new form of radiation. He found that it affected photographic plates, and, since it did not noticeably exhibit any properties of light, such as reflection or refraction, he mistakenly thought the rays were unrelated to light. In view of its uncertain nature, he called the phenomenon X-radiation, though it also became known as Röntgen radiation. 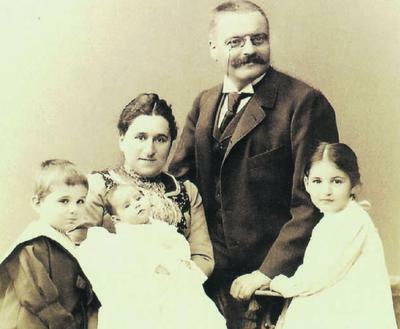 Röntgen was married to Anna Bertha Ludwig (m. 1872, d. 1919). They raised one child, Josephine Bertha Ludwig, whom they adopted at age 6 from Anna’s brother in 1887. In 1901, Röntgen was awarded the first Nobel Prize in Physics. The award was officially “in recognition of the extraordinary services he has rendered by the discovery of the remarkable rays subsequently named after him”. 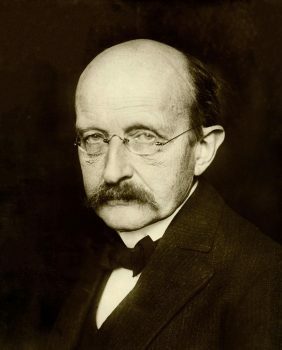 Röntgen donated the monetary reward from his Nobel Prize to his university. 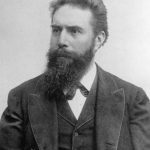 Like Pierre Curie, Röntgen refused to take out patents related to his discovery of X-rays, as he wanted society as a whole to benefit from practical applications of the phenomenon. He inherited two million Reichsmarks after his father’s death. 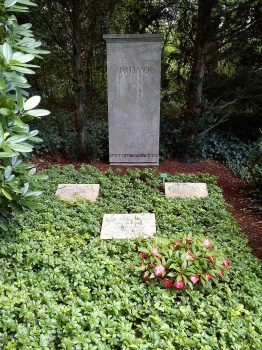 With the inflation following World War I, Röntgen fell into bankruptcy later in life, spending his final years at his country home at Weilheim, near Munich. 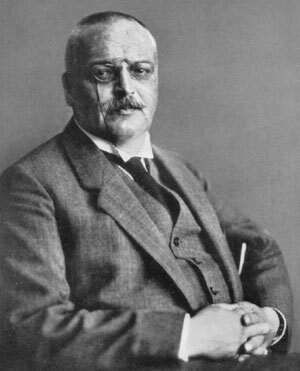 Röntgen died on February 10, 1923 from carcinoma of the intestine. In keeping with his will, all his personal and scientific correspondence was destroyed upon his death. 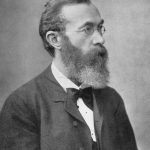 Robert Heinrich Hermann Koch (born on December 11, 1843 in Clausthal – died on May 27, 1910 in Baden-Baden) was a German physician and microbiologist. 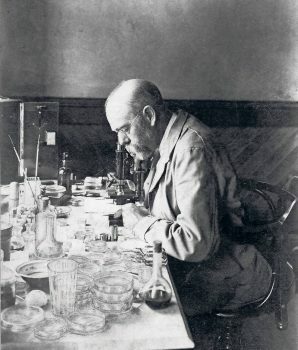 As the founder of modern bacteriology, he identified the specific causative agents of tuberculosis, cholera, and anthrax and gave experimental support for the concept of infectious disease. 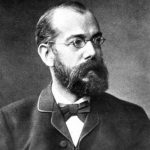 Germany has produced plenty of groundbreaking scientific minds for centuries but one man who is counted among the greatest German scientists ever is Robert Koch. Koch laid the foundation for the study of bacteriology in the modern age and helped in explaining the causes and possible cures of different bacterial diseases. He was a researcher par excellence and was responsible for carrying out unprecedented studies into such life threatening diseases like anthrax and tuberculosis among others. This erudite scientist was also instrumental in creating modern laboratories that would help researchers in this field in the best possible way. 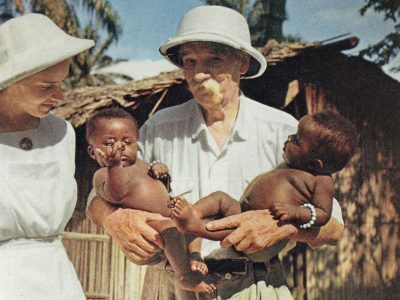 Koch was not only a scientist with an incredibly gifted mind but he was also a visionary, and the number of awards and medals that he won throughout his distinguished life is a proof of the sort of contribution he made to the world of medical science. 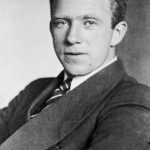 He was associated with only one University throughout his illustrious academic career and spent his whole life in Germany although he traveled extensively for research. 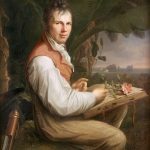 Last but not the least it is also important to mention that Koch was also the doctoral advisor to many renowned scientists. Koch showed extraordinary learning capabilities as a child and learned to read on his own by way of newspapers by the time he was only 5 years old. He showed remarkable gifts in the sciences and mathematics in school. In 1862, Robert Koch graduated high school. Koch attended the University of Göttingen as a student of medicine and during his time at the university he came into contact with Jacob Henle who had introduced the idea that the cause of many diseases are parasites. He graduated from University in 1866 with an MD degree and also achieved the highest grades. Right after graduating in the year 1866, he traveled to Berlin for a period of 6 months to hone his skills in chemistry. The very next year he joined the ‘General Hospital’ in Hamburg as physician. In 1870, Koch voluntarily enrolled in the Prussian Army in order contribute to the Franco-Prussian War and for 8 years he served as the District Medical Officer for the Army at Wollstein. 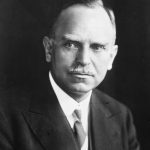 During that he started with his experiments on how bacteria can cause anthrax, and even though he used an extremely crude laboratory for his studies, he succeeded. In 1876, the paper was published by the ‘Botanical Journal’ and his stellar work was recognized by the scientific community. 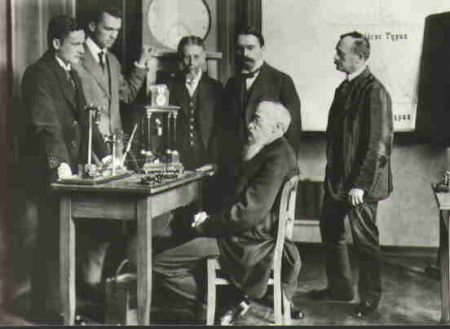 Robert Koch was discharged from the army in 1880 and was immediately appointed a professor at the University of Berlin where he finally got to work in a specialized laboratory. In 1882, Koch successfully discovered the bacteria that caused the dreaded disease of tuberculosis and in fact he also demonstrated how the bacteria can be grown artificially. In the same year he published a paper with detailed findings of his research. 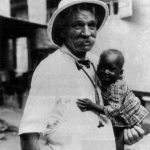 By 1883, Koch had become an authority on bacterial diseases, including cholera, and so when a cholera epidemic broke out in Egypt, he was sent to the African nation as the leader of the ‘German Cholera Commission’. The Institute of Hygiene at the University of Berlin made him the Director and also gave him the designation of a professor in the year 1885. 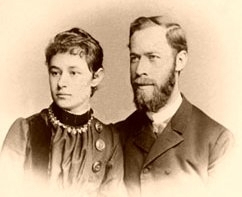 Robert Koch married Emma Fraatz in 1867 at the age of 23. The couple had a daughter named Gertrude in 1868 but the marriage ended in a divorce. After separating from Emma in 1893, Koch married the actress Hedwig Freiberg later that same year. 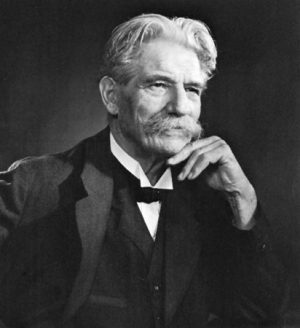 At the age of only 66, this erudite scientist passed away on May 27, 1910, in Baden-Baden, of a heart attack. 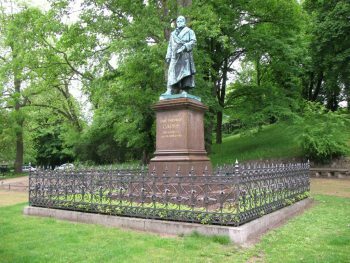 Robert Schumann (born in Zwickau on June 8, 1810 – died in Bonn on July 29, 1856) was a German composer and influential music critic. 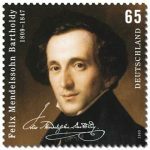 He is widely regarded as one of the greatest composers of the Romantic era. Schumann left the study of law, intending to pursue a career as a virtuoso pianist. He had been assured by his teacher Friedrich Wieck that he could become the finest pianist in Europe, but a hand injury ended this dream. Schumann then focused his musical energies on composing. 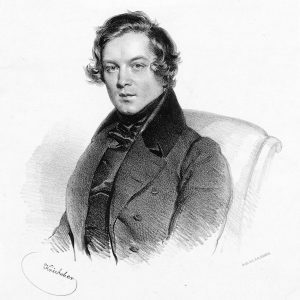 Schumann’s published compositions were written exclusively for the piano until 1840; he later composed works for piano and orchestra; many Lieder (songs for voice and piano); four symphonies; an opera; and other orchestral, choral, and chamber works. 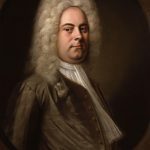 Works such as Carnaval, Symphonic Studies, Kinderszenen, Kreisleriana, and the Fantasie in C are among his most famous. 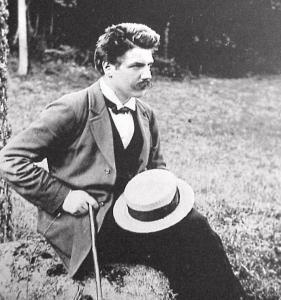 His writings about music appeared mostly in the Neue Zeitschrift für Musik (New Journal for Music), a Leipzig-based publication which he jointly founded. 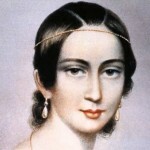 In 1834, Schumann fell in love and got engaged to 16-year-old Ernestine von Fricken. She was the adopted daughter of a rich Bohemian-born noble. Schumann broke off that engagement, as he grew more and more fond of 15-year-old Clara Wieck. In December, when Clara appeared in Zwickau for a concert, they made mutual declarations of their love. 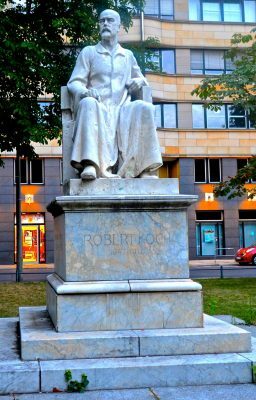 Robert met Clara in Leipzig, in 1830 when he was working under the renowned piano teacher Friedrich Wieck. Clara was his favorite daughter and was already a famous piano prodigy. It is said that that Schumann and Clara were lovers by 1835. Though Clara’s father strongly opposed their relationship, their tryst continued. In 1837, when Schumann sought Friedrich Wieck’s consent to their marriage, he refused. 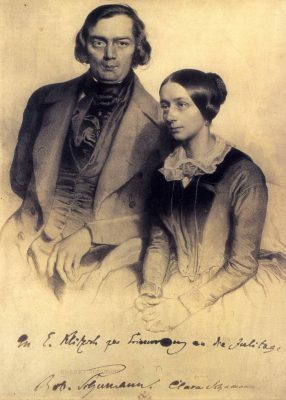 In 1840, Schumann married Friedrich Wieck’s daughter Clara, against the wishes of her father, following a long and acrimonious legal battle, which found in favor of Clara and Robert. 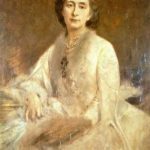 Clara also composed music and had a considerable concert career as a pianist, the earnings from which, before her marriage, formed a substantial part of her father’s fortune. It’s not that Schumann detested all of the contemporary composers; there were some like Chopin about whom Schumann famously wrote, “Hats off, Gentleman! A genius!” He also lauded Hector Berlioz for creating music of substance. On the other hand, Schumann disparaged the school of Franz Liszt and Richard Wagner. 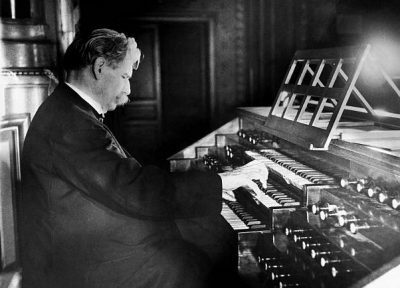 At that time, Schumann’s associates were eminent composers like Norbert Burgmüller and Ludwig Schuncke (to whom Schumann’s Toccata in C is dedicated). In 1837, Schumann published his Symphonic Studies, a complex set of étude-like variations that he wrote during 1834–1835, and demanded a finished piano technique. During the span of seven years from 1832 to 1839, Schumann concentrated solely on piano. In 1840 alone, he wrote 168 songs, was quite rightly referred to as the Liederjahr or year of song, and hence bears great significance in Schumann’s musical legacy. Schumann’s symptoms of neurasthenia increased by February 1854. He suffered from angelic visions that were at times replaced by demonic visions. He also feared that he might harm Clara. 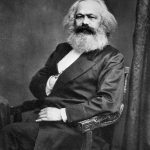 He attempted his second suicide on 27 February 1854. He jumped into the Rhine River from a bridge. He was rescued by a boatman and himself asked to be taken to a mental asylum. He entered Dr. Franz Richarz’s sanatorium in Endenich, a quarter of Bonn, and remained there until his death on July 29, 1856, when he was just 46. During his confinement, he was not allowed to see Clara. Two days before his death, she finally visited. Though he seemed to recognize her, but couldn’t speak a word.